Lafever Excavating | LaFever Excavating, Inc.
We are currently working with the CWC on a video of the installations of a septic system from start to finish. Thank you to Matthew Lewis, driver, who recently traveled to Montgomery, Alabama where we acquired a 2017 Mack truck to add to our fleet! Below is an article in the May 22, 2014, Walton Reporter regarding this on-going LaFever Excavating project. You may click on the image for a larger view! LaFever Excavating, Inc. continues work on the Trout Creek Sewer System. Click the links below to find out more…. 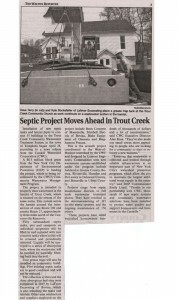 The Town of Tompkins has awarded the job of building a small diameter sewer system in the hamlet of Trout Creek to LaFever Excavating, Inc. On August 28, 2012, the town council accepted LaFever Excavating’s bid of $3.1 million and passed a resolution to proceed to the construction phase. 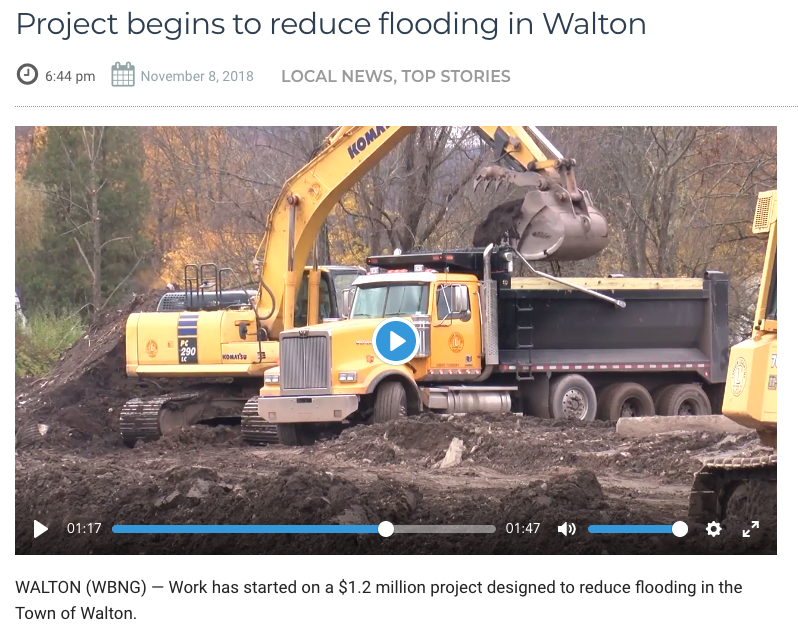 The project will be funded by the Catskill Watershed Corporation’s (CWC) Community Wastewater Management Program. Lamont Engineers will co-ordinate the CWMP program. The Trout Creek project will serve 55 households. LaFever Excavating plans to start construction in late October of 2012.